Per ardua ad aethera tendo..."I strive through difficulties to the sky"
The markhor's head, a mountain goat from the Khyber Pass indicating their service there between the wars. 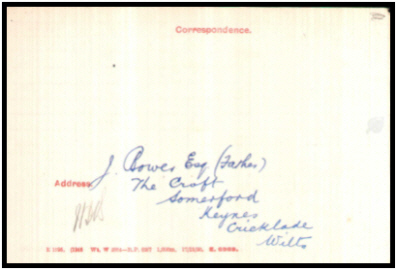 Frank Bower was born on 4th November 1898 (Scarborough Q4-1898 9D:379), son of Joshua and Louisa Alexandra BOWER (née PERMAN). 1901 census... Aged 2, he was at 15 Fulford Road, Scarborough with his father Joshua BOWER  tea planter and farmer, born Hunslet, Yorks; his mother Louisa Alexandra  born Lanarkshire, Scotland; brother Jon  born Seaton, Yorkshire; sisters Mona  and Ailsa  both born Wharram Percy, Yorks., and 4 servants. His grandparents, aunts and uncles were in residence at Stradishall Place. 1911 census... None of the have been found in this census, they may well be overseas. Later his parents were at Somerford Keynes, Gloucestershire. Sister Mona married Spenser Milne Clarence THEYRE, Ailsa married Guy de Laval LANDON. 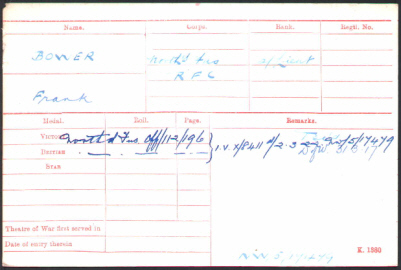 "2nd Lieutenant Frank Bower,Northumberland Fusiliers,attached R.F.C. 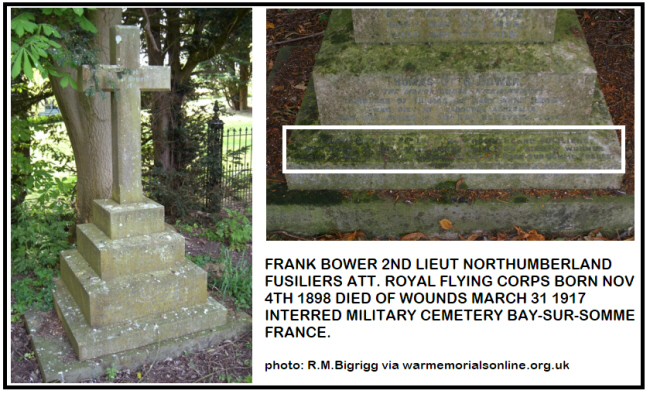 (died of wounds received in action on March 31st), was younger son of Mr and Mrs Joshua Bower, of Somerford Keynes, Cricklade, Wiltshire, and grandson of Mr.Thomas Bower, of Stradishall Place, near Newmarket.He received his commission in August 1916, and was appointed flying officer in the following December". Billy's world completely turned around between March 28 and August 16. On March 28, he led his first patrol, an event that proved completely uneventful. However, the same was not true on March 30, when the inexperienced Billy led his second patrol. His flight was decoyed into a numerically superior German force and his friend Lt. W. P. Garrett was shot down and killed. An explosive bullet from behind struck Frank Bower, another friend. 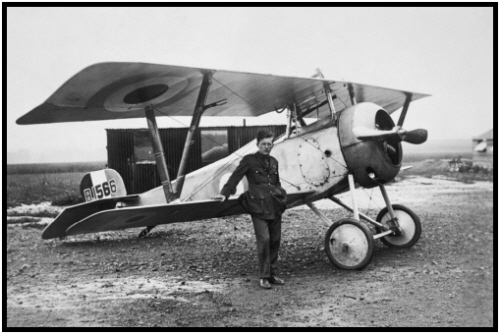 Bower, in a state of severe shock, in extreme pain and with blood pouring from massive abdominal wounds, held his intestines in his body with one hand and flew back to base using his other hand to control the plane. After landing, he managed to walk 40 yards from his plane before collapsing. He died the next day, and the day after that Billy led his third flight, a flight in which he again was caught by a German ambush and in which two of his pilots were killed. Bishop was profoundly shaken by these deaths and vowed to develop tactics that complemented his natural skills. "Bower saw the sharp nose of an Albatross closing behind him and tried to turn out of its line of fire, but he wasn't quick enough. A bullet lodged in his stomach and he fought unconsciousness in an effort to stay in the battle. Then his engine started to vibrate as other bullets smashed into it. Coaxing his engine to keep him aloft, Bower headed back toward his own lines. 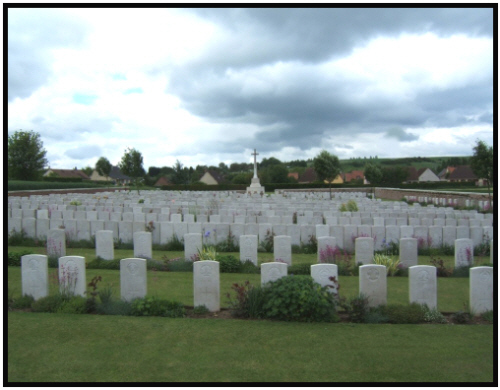 Still fighting black-out he glided through a barrage of anti aircraft fire and landed in a field near Chipilly,behind his own line. He managed to climb out of his machine,then fainted from loss of blood. Next morning he died. Frank's aircraft was a Nieuport 23 ser.no A6774 .